A tree removal in NJ service is more than the name implies. Sure, we do clean up your yard and get trees off the ground and off your property. But we also make your life much easier after storms or in tight property areas. We can even bring the most out of a commercial location by fostering the desired mode of urban development. Yes, the right tree removal company knows how to bring the most out of any land surface area. 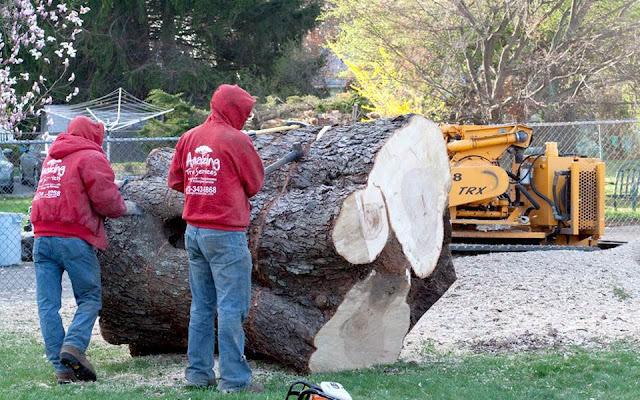 At Amazing Tree Services, we combine our years of expert service with leading methods to perform safe tree removal in NJ. Our professionals ensure that a tree is in need of removal before taking action, aware that this is a service meant only when other services will not suffice. If a tree is dead or dying, diseased, or has become a hazard on properties, tree removal may be the solution you need. For more information about tree removal in NJ and how we can help make your property safer, call Amazing Tree Services at (973) 343-6868.